This high-rising, flavorful cake is perfect topped with strawberries and whipped cream. It's so tender and light, no one will suspect it's gluten-free! *Can you substitute regular granulated sugar? Yes; it'll take much longer for the egg whites to attain their require volume, and the cake's texture won't be as fine. See tip below for more information. Preheat the oven to 350°F with a rack in the lower third; you want to give your cake plenty of rising room without danger of burning its top. Gently fold in the sifted flour/sugar blend 1/4 cup at a time, just until incorporated. If you don't have Baker's Special Sugar or superfine sugar, process regular granulated sugar in a food processor until finely ground. The result won't be quite the same, but will be better than using plain granulated sugar. •Be sure your mixing bowl is absolutely clean; also, separate your egg whites carefully. The tiniest bit of fat or speck of egg yolk will inhibit the egg whites from beating up thick and foamy. •Cold eggs are easiest to separate. Don't worry about warming your egg whites to room temperature; they'll warm slightly while you're getting your other ingredients ready. •Don't over-whip your egg whites. Many recipes tell you to whip the whites until they hold a stiff peak, but it's better to whip only until the peaks are still soft enough to slump over at their peak. Under-beating slightly allows the air cells in the beaten whites to expand during baking without rupturing. •Directions call for you to both whisk and sift the dry ingredients. This might seem excessive in this time-challenged era, but each action performs a separate function: whisking makes sure the ingredients are evenly distributed; and sifting lightens them, removes any lumps, and allows the mixture to be mixed into the egg whites with little effort. •Finally, to retain the egg whites' volume, use the whisk attachment from a stand mixer, or a balloon whisk, to gently “fold” the dry ingredients into the beaten egg whites. Make Daffodil Cake, a pretty swirl of white and golden batters: Make the cake batter as directed above, reserving 5 of the egg yolks. In a separate bowl, beat the yolks until light yellow and thick, about 3 minutes. Add 2 tablespoons Baker's Special or superfine sugar, and beat for 2 minutes. Fold in 2 teaspoons lemon zest. Fold the yolk mixture into half the white batter. Spoon the white and yellow batters alternately into the pan. Gently pass a thin spatula or knife through the batter in the pan to create a marbled effect. Bake as directed above. 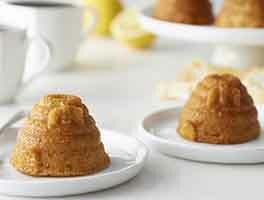 Serve with lemon curd and whipped cream. I made the Daffodil gluten free version of this cake yesterday. It was time-consuming and I felt like I dirtied every bowl in my kitchen by the time I finished. I have dwarf Meyer lemon trees that have several lemons on right now so I always look for recipes where I can use them. I couldn't really see the lemon (egg yolk) part of Daffodil in finished cake so I don't know if it was worth the extra mess. Maybe adding a drop of food color would make it brighter? I frosted cake finished cake with lemon buttercream icing. The cake baked perfectly and tasted great. It is actually better texture than regular gluten Angel food cakes I've made in past. I will make cake again, just not the Daffodil version. Thanks KF! I can always count on your recipes to taste great. After years of skipping St Patrick's Day tradition of gaving a green angel food cake I found this recipe. It is the best ever! No one guessed it was GF until they saw me take a slice. 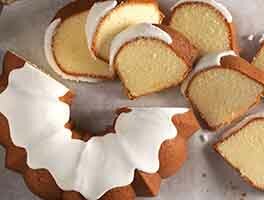 How I love angel food cake and this is perfect. I prefer the vinilla and almond extract like my mom always did. I use many King Arthur mixes and recipes and always so happy. So glad I had tried this one and now I have KA at my fingertips for everything! 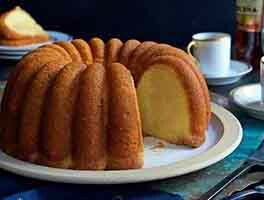 Has anyone tried the Dafadil cake? I haven't had angel food cake for almost four years. I was so excited to make this recipe and it did not disappoint. I used arrowroot as a substitute for the corn starch and it turned out delicious with good texture. My husband is gluten free and loves Angel Food cake. I tried this and it was wonderful. A little more dense than the boxed mixes, but very tasty and easy to make. Thank you, King Arthur! A bite into the gluten world you can't find anywhere else! Tasted just like the real thing, and easy to make! This is truly impressive. It's no harder than a traditional angel food cake, and it's just as delicious. It even has that crunchy toasted marshmallow-like top that a good angel food cake should have. 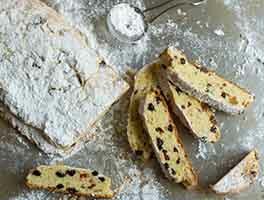 This is one gluten-free recipe that should definitely make it into your rotation! First time making an angel food cake. I personally don't love them, but my hubby requested it for his birthday. I followed the recipe exactly. It came it great and was gone in less than twelve hours. I couldn't tell it was gluten free, and I can always tell! I will also say that it made the best gf French toast ever the next morning! I made this for a birthday party where there were several gluten free guests.... myself included. I had heard horror stories about egg whites collapsing but never experienced it until my first attempt at this recipe. I cleaned and dried everything scrupulously before starting and as per the recipe, got to the frothy stage before adding the vanilla (and Fiori di Sicilia that was suggested as optional). The very second the Fiore was added, the eggs went flat. In a panic, I went online for a chat. The person I worked with could not have been nicer. She suggested that I keep whipping to see if the foam would come back, but after 5 minutes, I gave up and began again. Neither of us knows why that happened, but her suggestion was to add only the vanilla right in the beginning before turning on the mixer. I did not try the Fiore di Sicilia again. The cake that came out of my 2nd attempt was amazing! Everything worked perfectly.... it rose high and was crackly crisp on top, but melt-in-your-mouth on the inside. 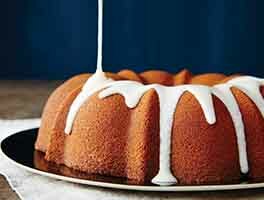 (Having central air-conditioning in the summer helps with this) I had never made Angel Food cake before, so I was very happy. 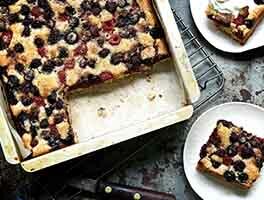 Served with a bowl of mixed berries and home-made whipped cream. My next attempt will be the chocolate version of the same recipe on the KA site. Like Colleen from Calgary's comment in June, my cake plopped right out of the pan when I inverted it! I did not use a a non stick pan. I washed cake pan, utensils, EVERYTHING, in hot soapy water the night before so all would be oil free. I'll be making another one tomorrow. Hopefully it will "rise to the occasion" for my Aunt's 90th birthday celebration.